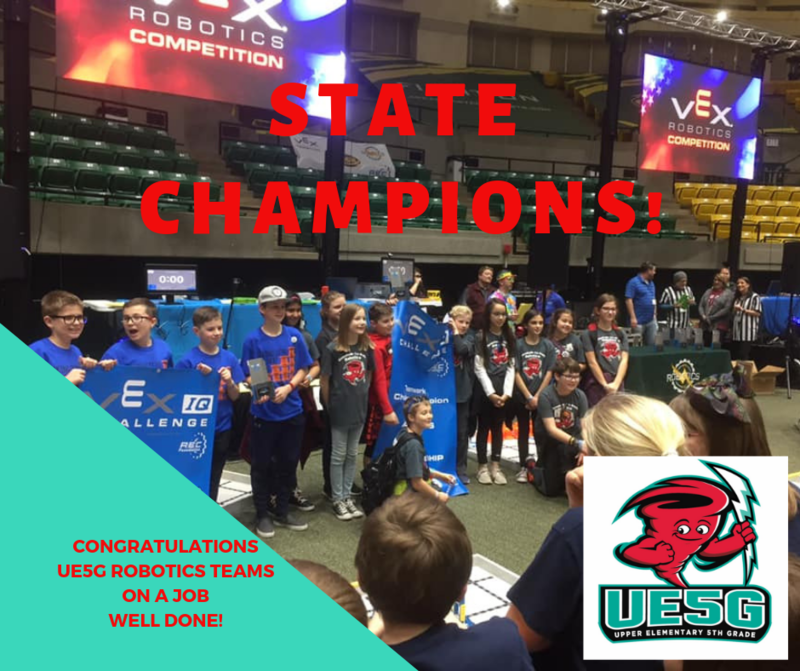 The 'UE5G Robotics Team 2' took home the win at the VEX IQ STATE ROBOTICS CHAMPIONSHIP held at Tucker Coliseum on Thursday, March 7, 2019. They were paired with another team in the final match, and scored 26 points for the win! 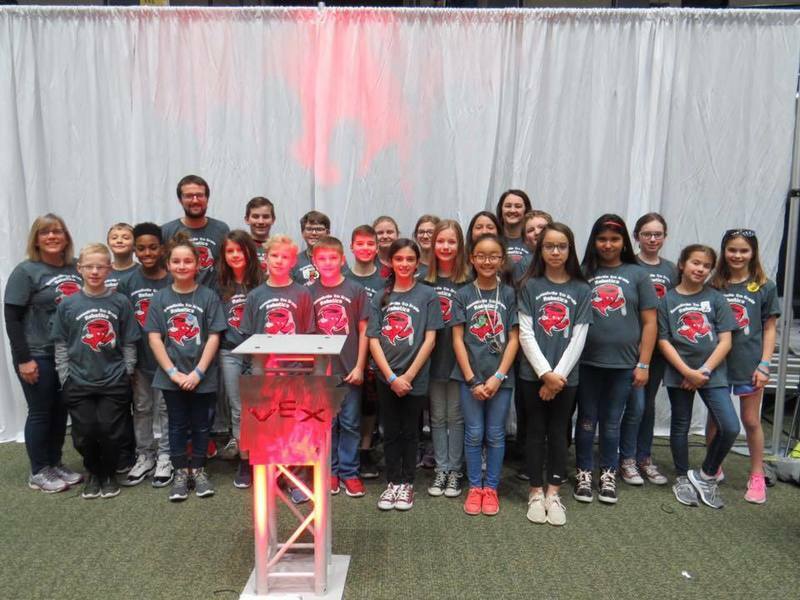 This is the school's first year to have robotics teams and both UE5G teams qualified for the final rounds. Team 2 has now qualified to represent our state at the World's Tournament in Louisville, KY in May, 2019!